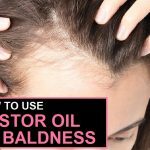 Hair fall, alopecia or baldness, by whatever name we call it, it is always undesirable and everyone would like to stop, prevent and reverse it. Hair has an important role in maintaining the physical appearance of a person which is generally the first impression created on anyone. They also play a big role in the self-image of a person which is an important psychological aspect in anyone’s life. Good and healthy hair can make a person look young and full of vigor while a person with baldness is often associated with old age, diseases and a dull personality. There is no denying about the importance of hair which cannot be reiterated enough and why we must care for our hair. Here we explain in detail benefits and how to use methi for hair. Various infections like Dissecting cellulitis, Fungal infections (e.g. : tinea capitis), Folliculitis, Secondary syphilis, etc. or the presence of Demodex folliculorum (a microscopic mite that eats away hair nutrition). Intake of various pharmaceutical drugs like those for reducing blood pressure, combating mycotic infections, diabetes or cholesterol control or heart related ailments. Administering steroids, acne medications, contraceptive pills or hormone replacement therapies also contribute to hair loss. Treatments like chemotherapy or radiotherapy also cause hair loss. Traction alopecia is found in people who fancy ponytails, cornrows, etc. or those who pull or brush their hair with excessive force. This can also be found in those cases where we are rough while massaging the hair or are heat styling them. Compulsively pulling and/or bending the hair also cause hair-fall. Childbirth, surgery, poisoning or certain medical conditions can also be causes. 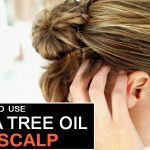 Although most of the causes of hair loss have been discussed now, but the diagnosis of the cause should be left to dermatologists to get to the root of the problem. 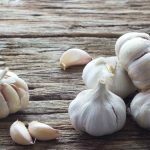 Home remedies have been helping us keep healthy since the beginning of time and since they are harmless in nature being time-tested, we can practice them for our benefit at our home, with not much expertise or experience needed in curing certain problems. 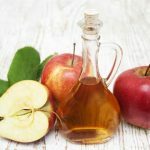 They are easy to administer and the ingredients can generally be found in our kitchens, and if not then they are never far as we can find them in most stores. Fenugreek (methi) contains various vitamins, minerals and phyto nutrients which are highly beneficial for our overall health. 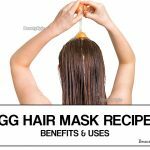 It also contains Copper, Iron, Zinc, Calcium and other minerals beneficial for hair growth. It also contains Lecithin which reduces hair fall, improves hair health and ensures good growth. Nicotinic acid present increases the hair growth and potassium prevents undesirable greying of hair. Thiamine, Vitamin B-6, folic acid, Vitamins A & C also ensure a healthy body and healthy hair. The Flavonoids present in this super healthy thing also help improving the overall blood circulation which is also beneficial to hair. We know that Fenugreek (methi) is a powerhouse of hair health essentials, let us learn to use it to our benefit to either maintain a healthy set of hair or to stop the hair fall that has begun in many of us and do our bit to resuscitate our youthful hair. Mentioned below are uses of Fenugreek (methi) in combating hair problems. Repetitions: Follow this process twice a week. Repetitions: Follow this method at least 2 to 3 times in a week. 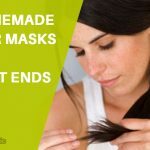 Repetitions: Apply this hair mask 3 times a week. Repetitions: Consume this water daily for few weeks. Repetitions: Follow this remedy at least twice a week. Now that we know so many easy ways in which Fenugreek (methi) can help us keep our hair healthy and control hair fall, it is time to use these gems of wisdom to our benefit. Let’s do our bit to care for our crown’s jewels which play an undeniable role in making us look attractive and beautiful. So time to get into the kitchen and gift ourselves great hair.